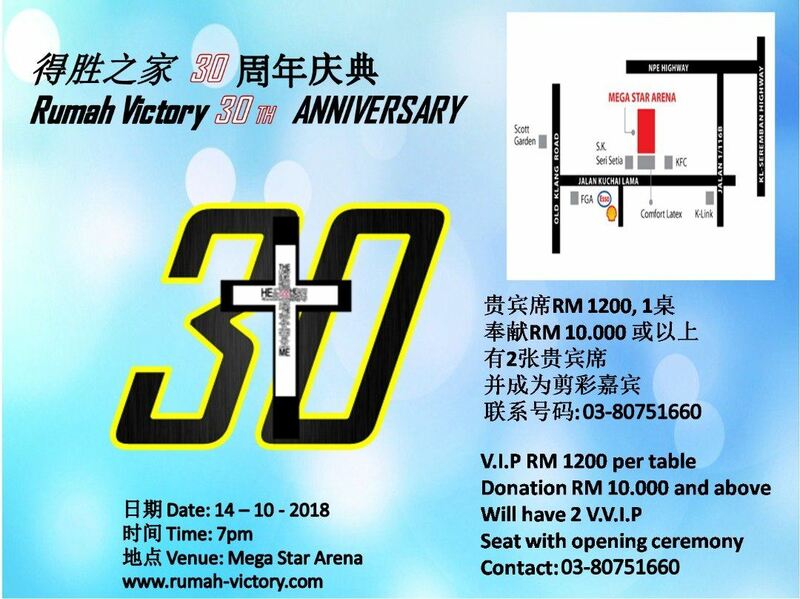 Rumah Victory - Rumah Victory is a non-profit organization, established with the purpose to provide community services especially in the area of drug eradication and rehabilitation. Our centre is located in Jalan Puchong, Selangor, Malaysia. The centres that we provide are Rumah Victory Drug Rehabilitation Centre, Rumah Victory Elderly Home, and Rumah Victory Children and Youth Home. 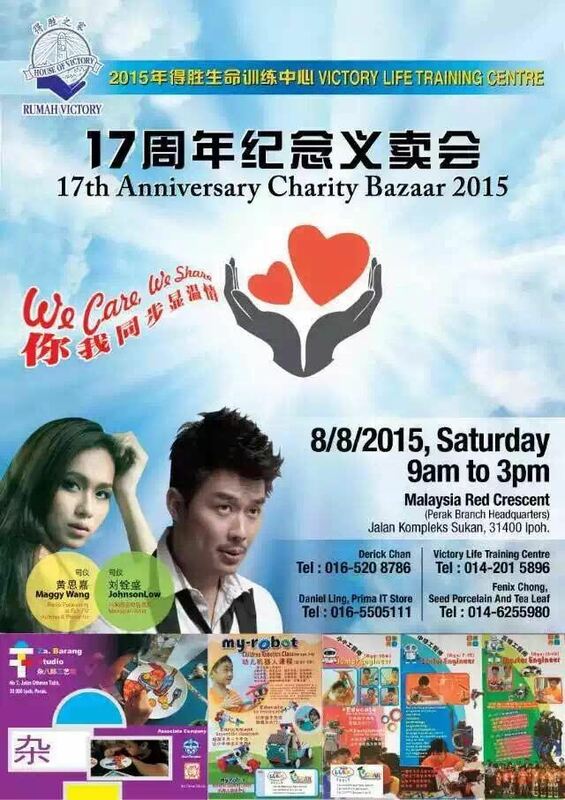 08-Jul-2015 Victory Life Training Centre 17th Anniversary charity bazaar 2015. 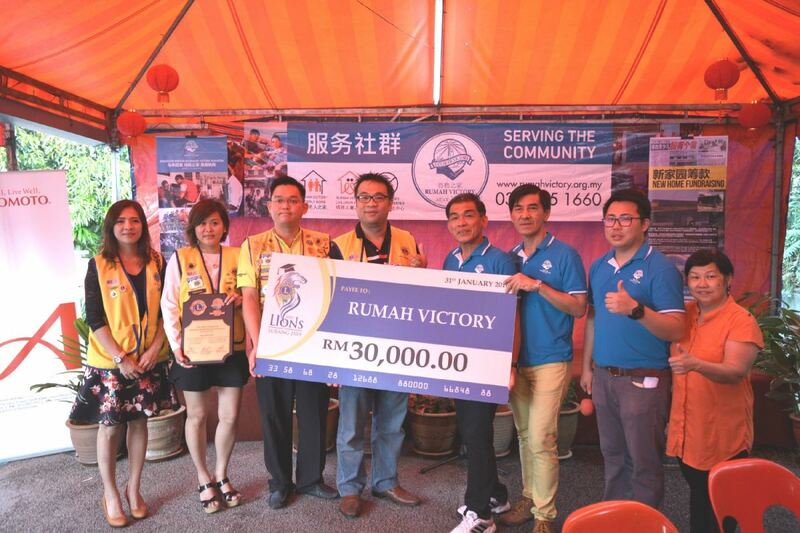 Rumah Victory, a non-profit organization, established for the purpose of community services especially in the area of drug eradication. 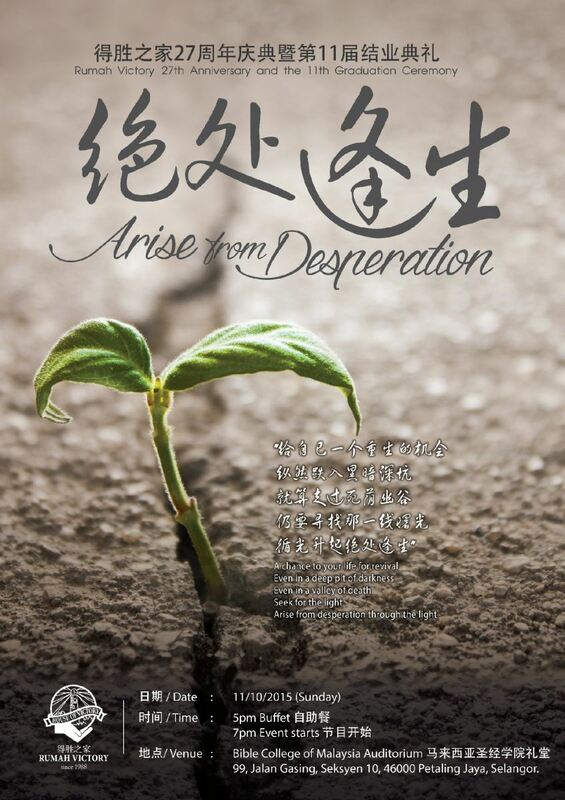 This welfare-based organization aspires to oer new hope for a victorious life for those who are misguided and in need.